Conventionally, a smelting operation is carried out in reverberatory furnaces fired with either coal or oil. 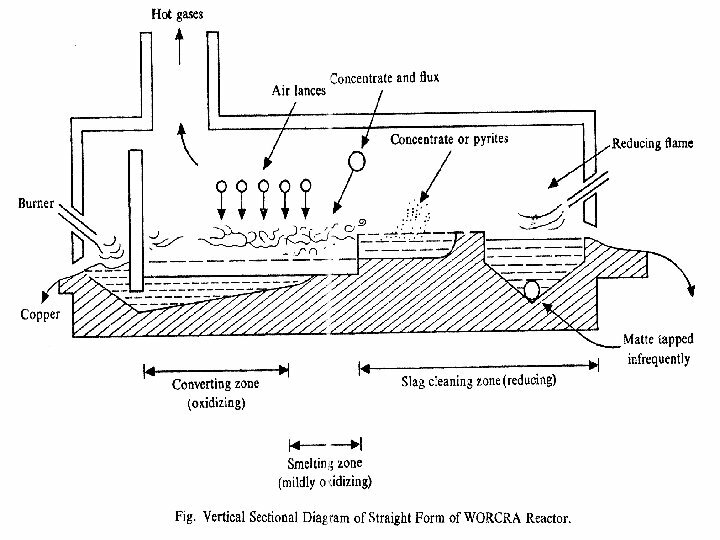 A typical reverberatory furnace is shown in Fig. 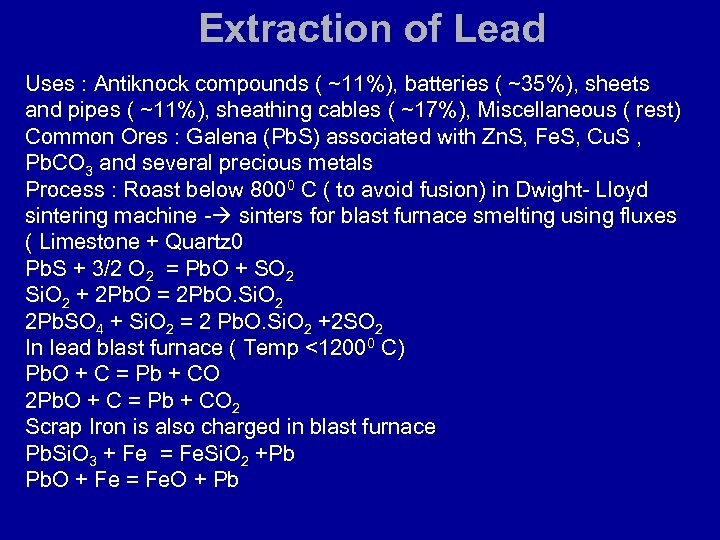 Smelting has also been carried out in electric furnaces. 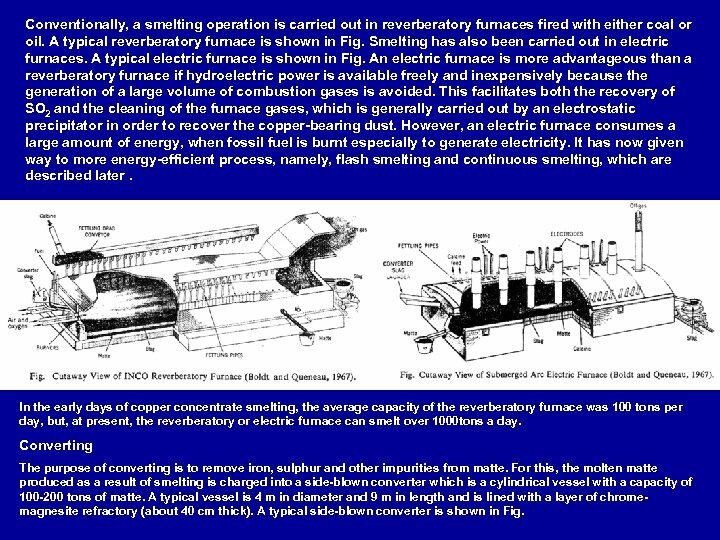 A typical electric furnace is shown in Fig. 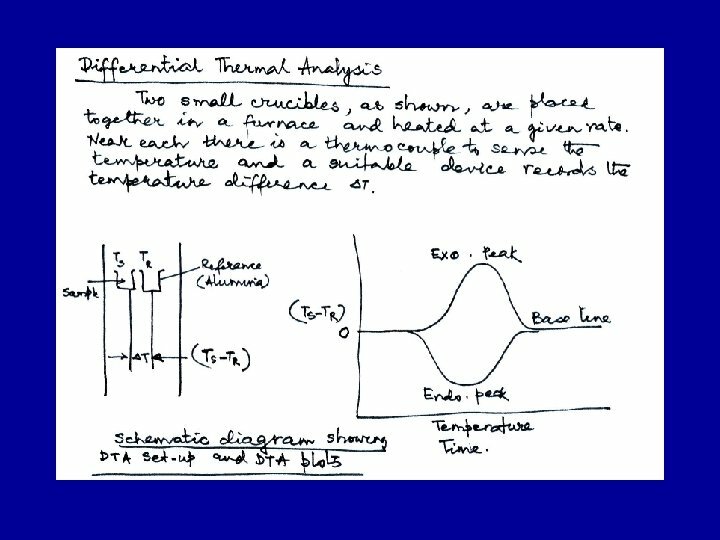 An electric furnace is more advantageous than a reverberatory furnace if hydroelectric power is available freely and inexpensively because the generation of a large volume of combustion gases is avoided. 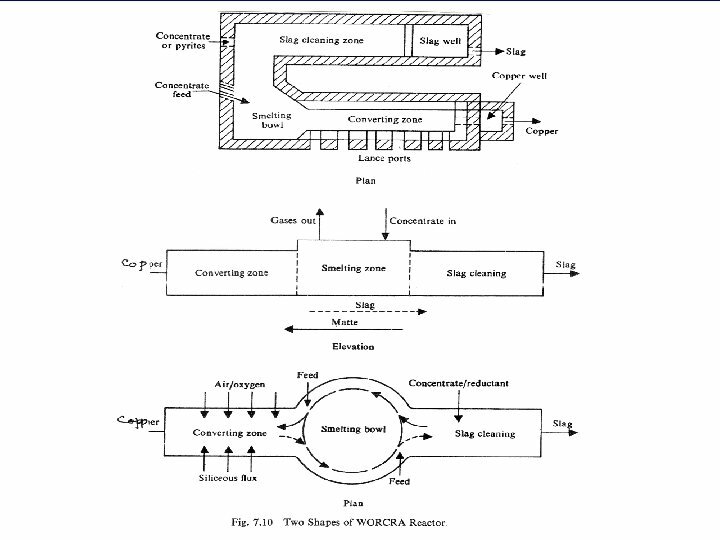 This facilitates both the recovery of SO 2 and the cleaning of the furnace gases, which is generally carried out by an electrostatic precipitator in order to recover the copper-bearing dust. However, an electric furnace consumes a large amount of energy, when fossil fuel is burnt especially to generate electricity. It has now given way to more energy-efficient process, namely, flash smelting and continuous smelting, which are described later. 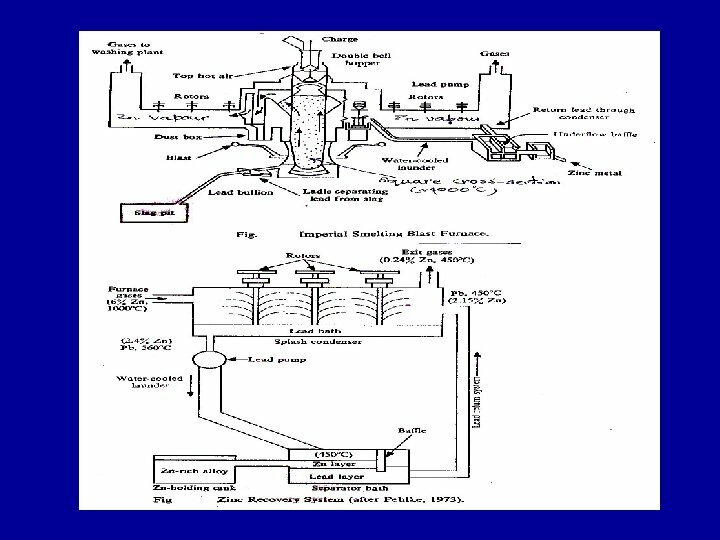 In the early days of copper concentrate smelting, the average capacity of the reverberatory furnace was 100 tons per day, but, at present, the reverberatory or electric furnace can smelt over 1000 tons a day. Converting The purpose of converting is to remove iron, sulphur and other impurities from matte. For this, the molten matte produced as a result of smelting is charged into a side-blown converter which is a cylindrical vessel with a capacity of 100 -200 tons of matte. A typical vessel is 4 m in diameter and 9 m in length and is lined with a layer of chromemagnesite refractory (about 40 cm thick). 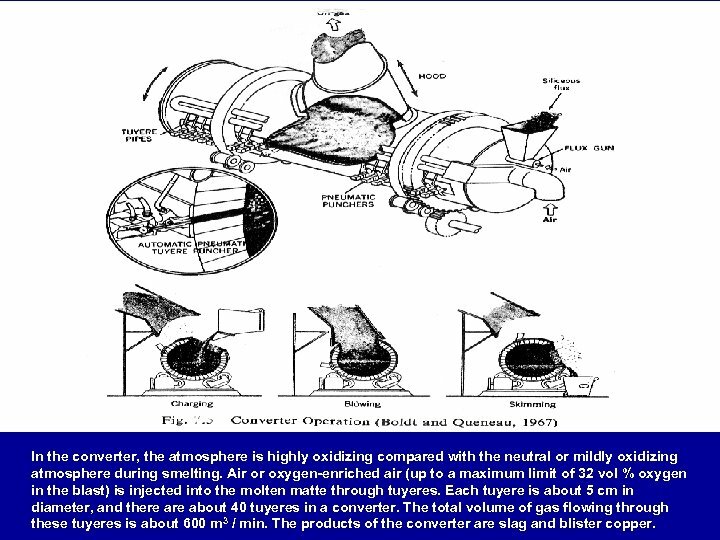 A typical side-blown converter is shown in Fig. 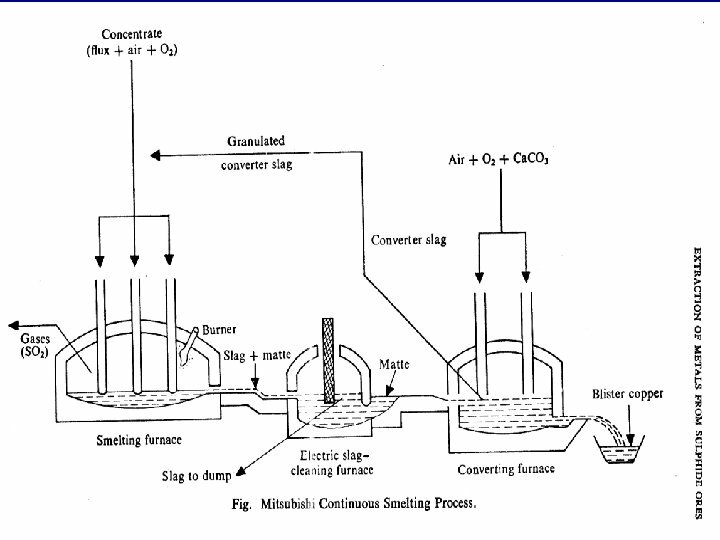 In the converter, the atmosphere is highly oxidizing compared with the neutral or mildly oxidizing atmosphere during smelting. Air or oxygen-enriched air (up to a maximum limit of 32 vol % oxygen in the blast) is injected into the molten matte through tuyeres. Each tuyere is about 5 cm in diameter, and there about 40 tuyeres in a converter. The total volume of gas flowing through these tuyeres is about 600 m 3 / min. 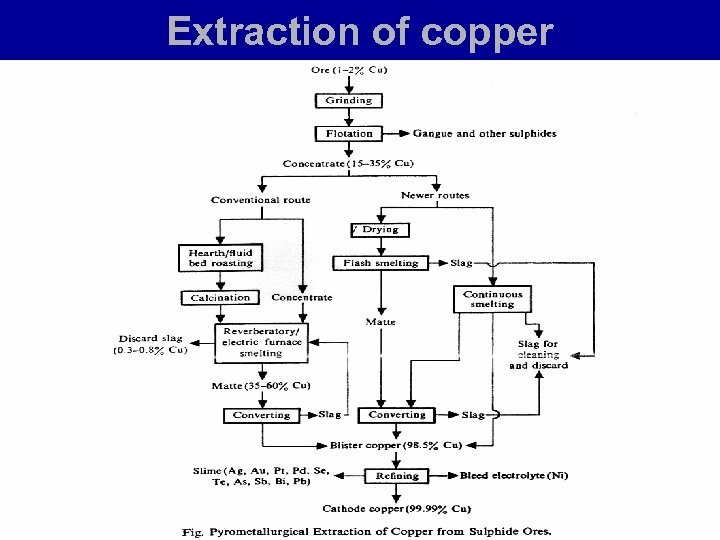 The products of the converter are slag and blister copper. The relative volumes of the two layers can be determined by the lever rule. When the sulphur level eventually level reaches 1. 2 per cent, only the metallic copper phase remains. 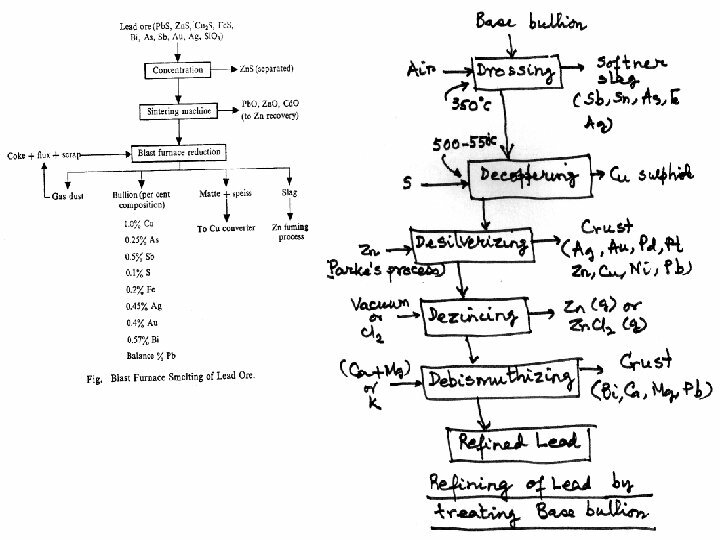 At this stage, care to be exercised to ensure that the metal is not overixidised to Cu 2 O. The completion of blow can be determined by casting a small sample of the copper and examining the fracture of this sample. 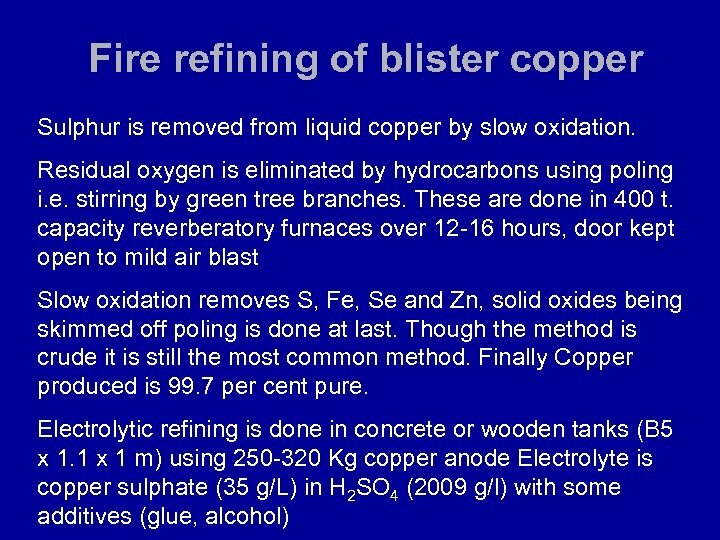 The blistery appearance of this sample lends the name blister copper to this product. In Industrial practice, the blister produced contains 0. 02 – 0. 05 per cent S along with 0. 2 – 0. 5 per cent dissolved oxygen. 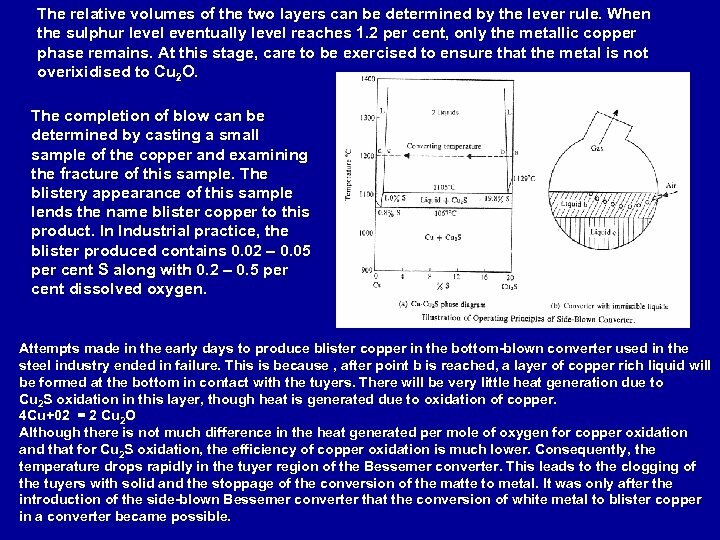 Attempts made in the early days to produce blister copper in the bottom-blown converter used in the steel industry ended in failure. This is because , after point b is reached, a layer of copper rich liquid will be formed at the bottom in contact with the tuyers. There will be very little heat generation due to Cu 2 S oxidation in this layer, though heat is generated due to oxidation of copper. 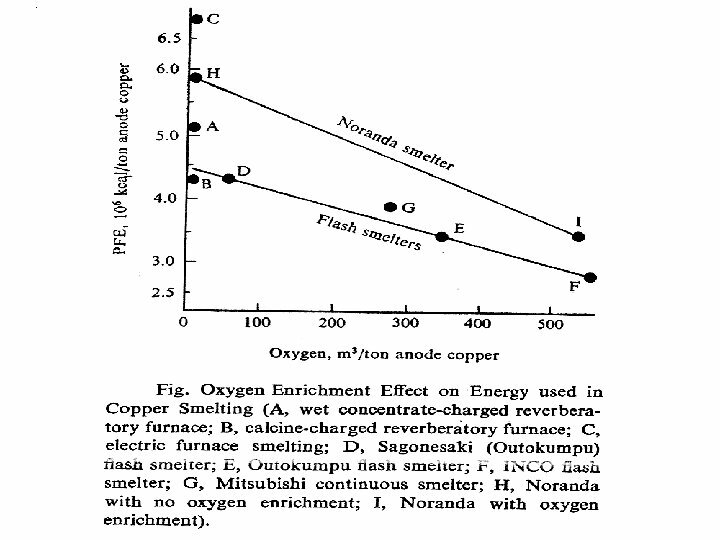 4 Cu+02 = 2 Cu 2 O Although there is not much difference in the heat generated per mole of oxygen for copper oxidation and that for Cu 2 S oxidation, the efficiency of copper oxidation is much lower. Consequently, the temperature drops rapidly in the tuyer region of the Bessemer converter. This leads to the clogging of the tuyers with solid and the stoppage of the conversion of the matte to metal. 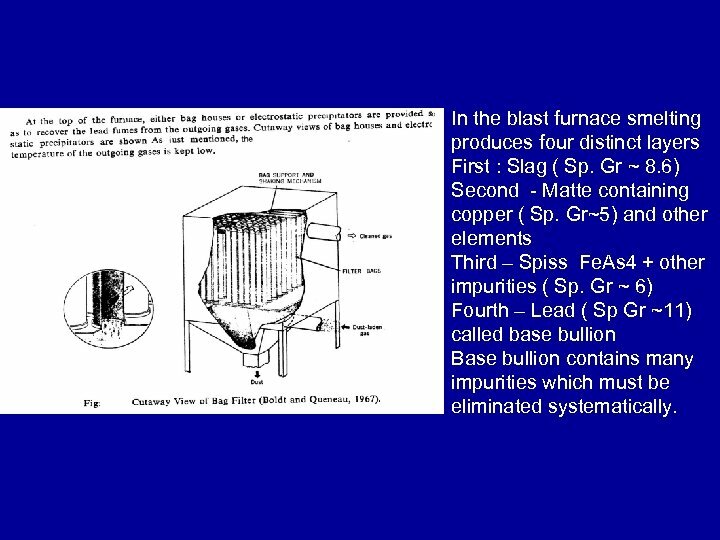 It was only after the introduction of the side-blown Bessemer converter that the conversion of white metal to blister copper in a converter became possible. 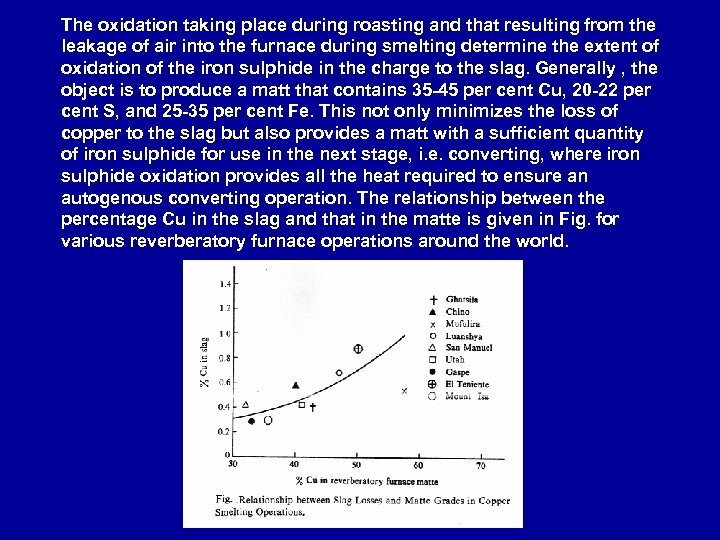 The oxidation taking place during roasting and that resulting from the leakage of air into the furnace during smelting determine the extent of oxidation of the iron sulphide in the charge to the slag. Generally , the object is to produce a matt that contains 35 -45 per cent Cu, 20 -22 per cent S, and 25 -35 per cent Fe. 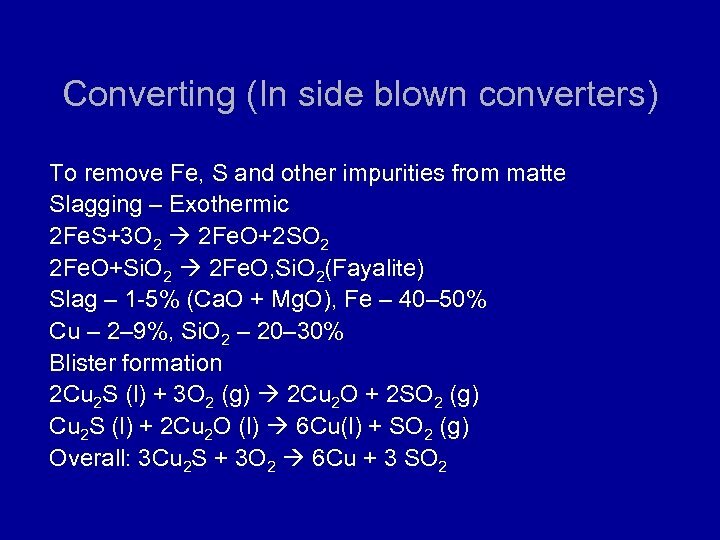 This not only minimizes the loss of copper to the slag but also provides a matt with a sufficient quantity of iron sulphide for use in the next stage, i. e. converting, where iron sulphide oxidation provides all the heat required to ensure an autogenous converting operation. The relationship between the percentage Cu in the slag and that in the matte is given in Fig. 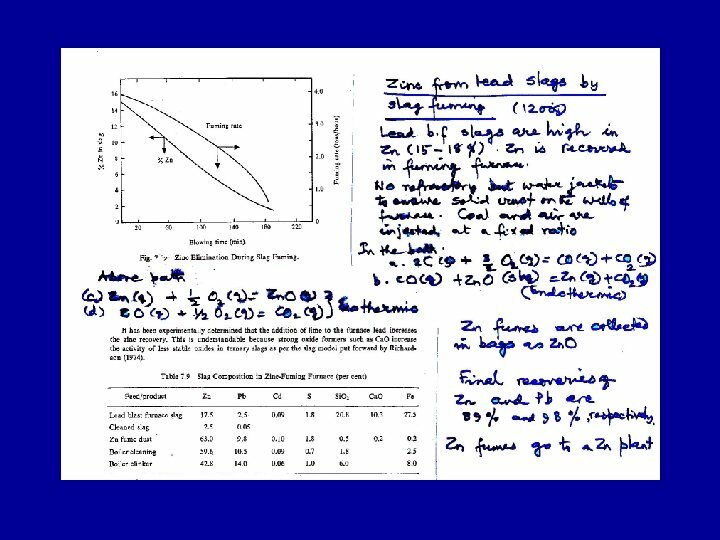 for various reverberatory furnace operations around the world. 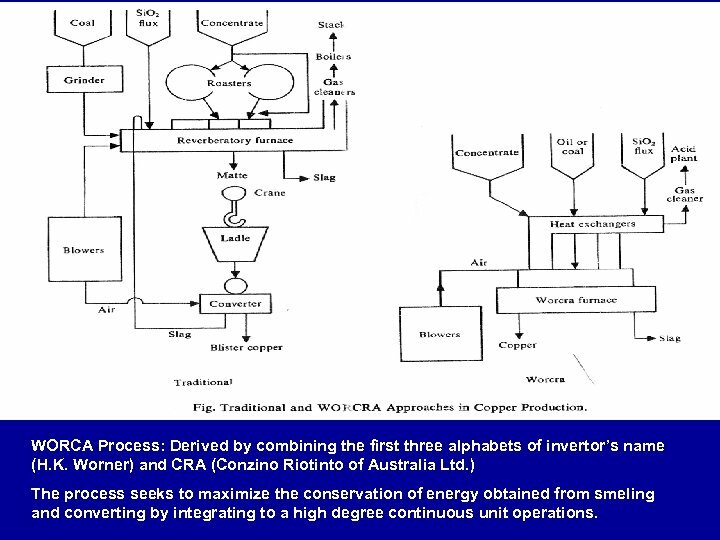 WORCA Process: Derived by combining the first three alphabets of invertor’s name (H. K. Worner) and CRA (Conzino Riotinto of Australia Ltd. ) The process seeks to maximize the conservation of energy obtained from smeling and converting by integrating to a high degree continuous unit operations. 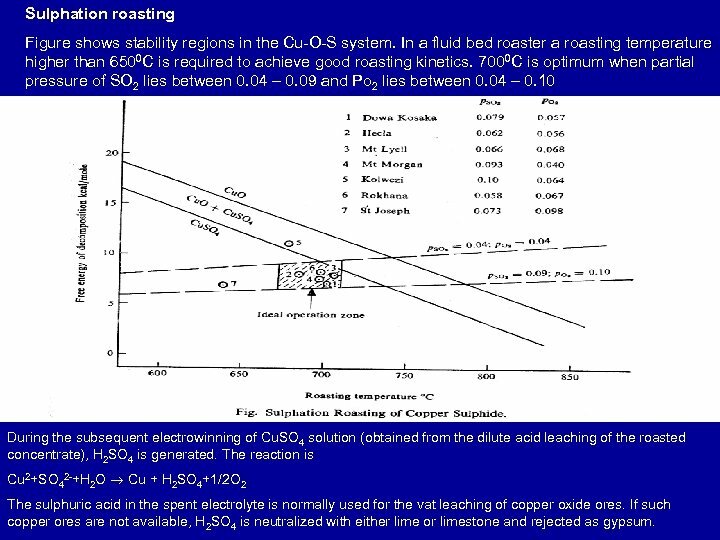 Sulphation roasting Figure shows stability regions in the Cu-O-S system. 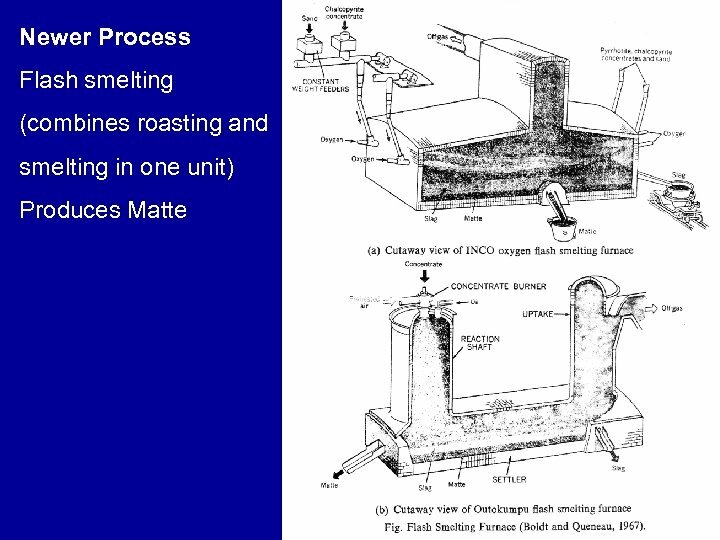 In a fluid bed roaster a roasting temperature higher than 6500 C is required to achieve good roasting kinetics. 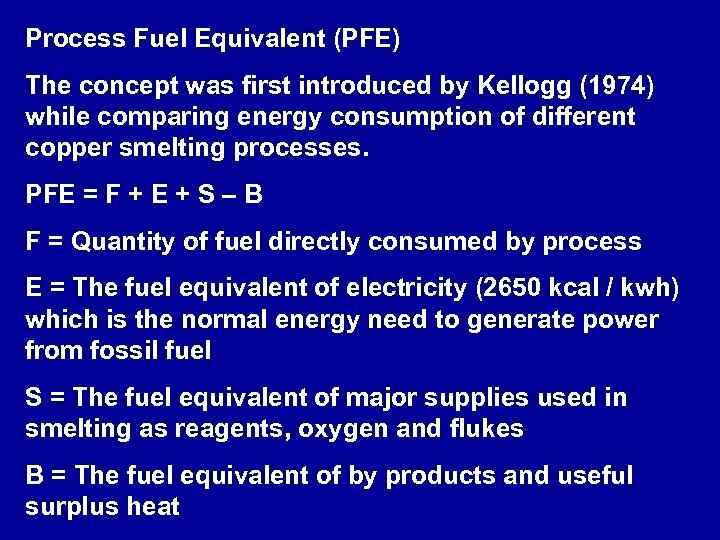 7000 C is optimum when partial pressure of SO 2 lies between 0. 04 – 0. 09 and Po 2 lies between 0. 04 – 0. 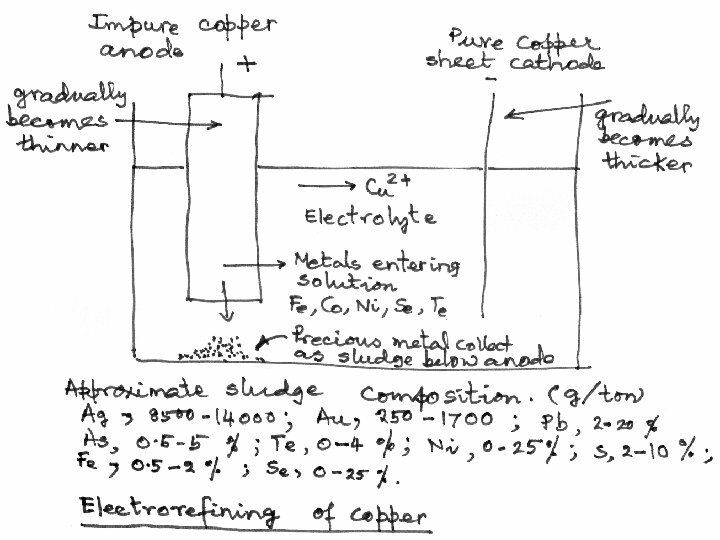 10 During the subsequent electrowinning of Cu. SO 4 solution (obtained from the dilute acid leaching of the roasted concentrate), H 2 SO 4 is generated. 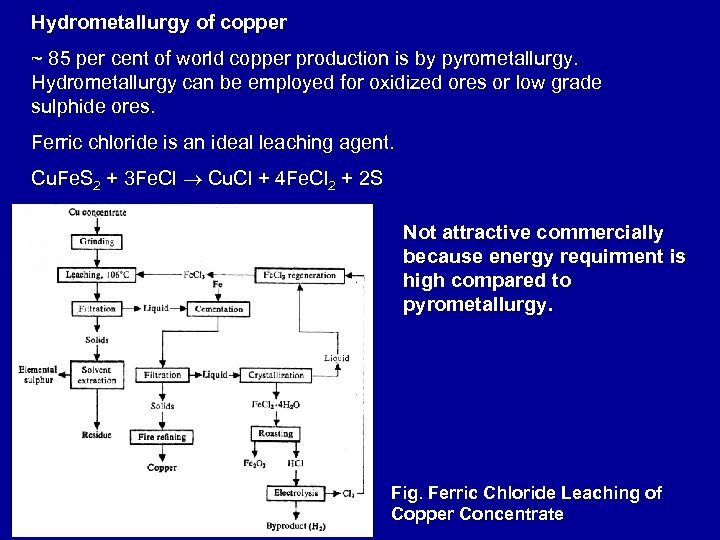 The reaction is Cu 2+SO 42 -+H 2 O Cu + H 2 SO 4+1/2 O 2 The sulphuric acid in the spent electrolyte is normally used for the vat leaching of copper oxide ores. If such copper ores are not available, H 2 SO 4 is neutralized with either lime or limestone and rejected as gypsum. In the blast furnace smelting produces four distinct layers First : Slag ( Sp. Gr ~ 8. 6) Second - Matte containing copper ( Sp. Gr~5) and other elements Third – Spiss Fe. 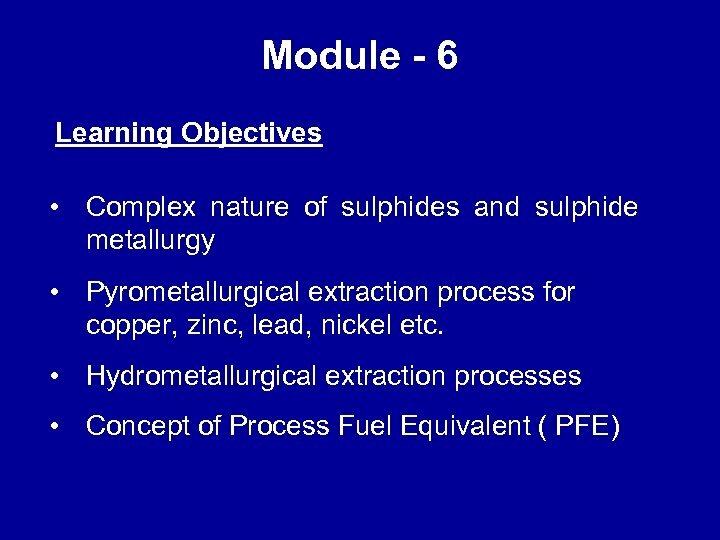 As 4 + other impurities ( Sp. Gr ~ 6) Fourth – Lead ( Sp Gr ~11) called base bullion Base bullion contains many impurities which must be eliminated systematically. 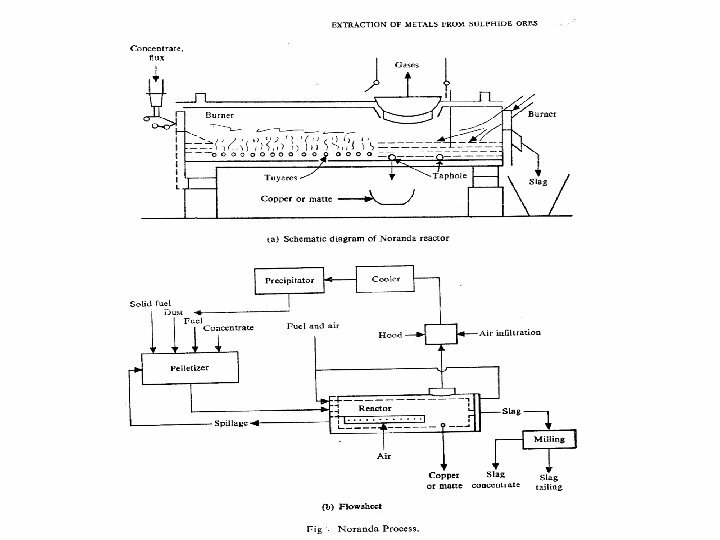 Modern Developments in Lead Smelting At present, about 90 per cent of the world’s primary lead is provided by the conventional process, i. e. sintering followed by blast furnace reduction, and about 10 per cent by the Imperial Smelting process. Recent environment protection laws, which seek to control the emission of lead fumes into the atmosphere , coupled with a shortage of energy needed for lead production have necessitated the development of processes that are both cleaner and less energy consuming. 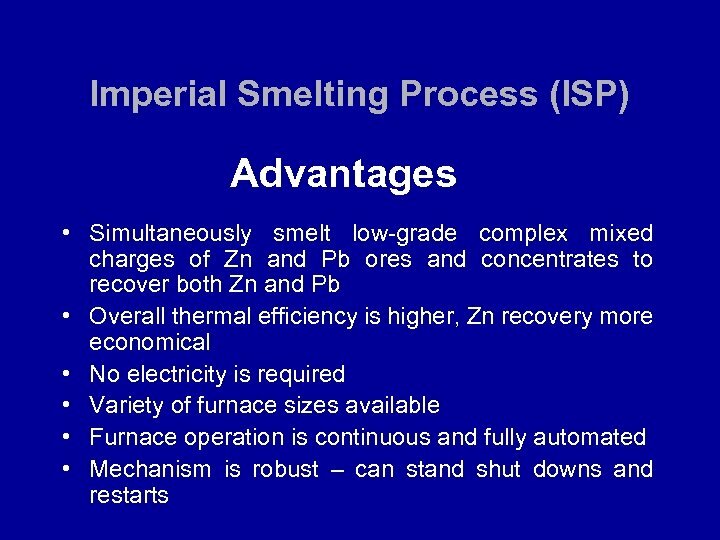 In this regard, the one-step(continuous) smelting process appears attractive. Here Pb. 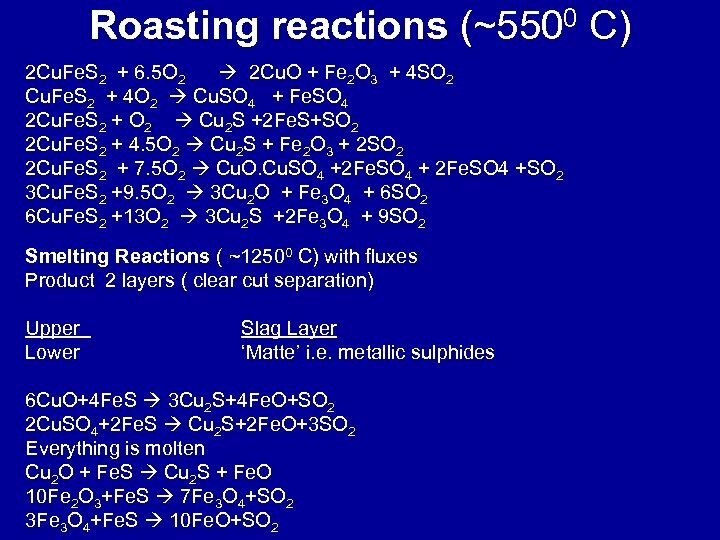 S is oxidized to yield lead according to the reaction. Pb. 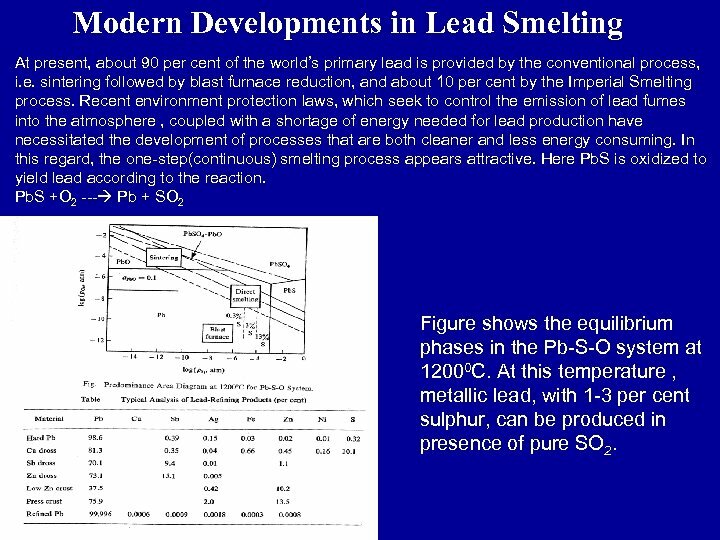 S +O 2 --- Pb + SO 2 Figure shows the equilibrium phases in the Pb-S-O system at 12000 C. At this temperature , metallic lead, with 1 -3 per cent sulphur, can be produced in presence of pure SO 2. 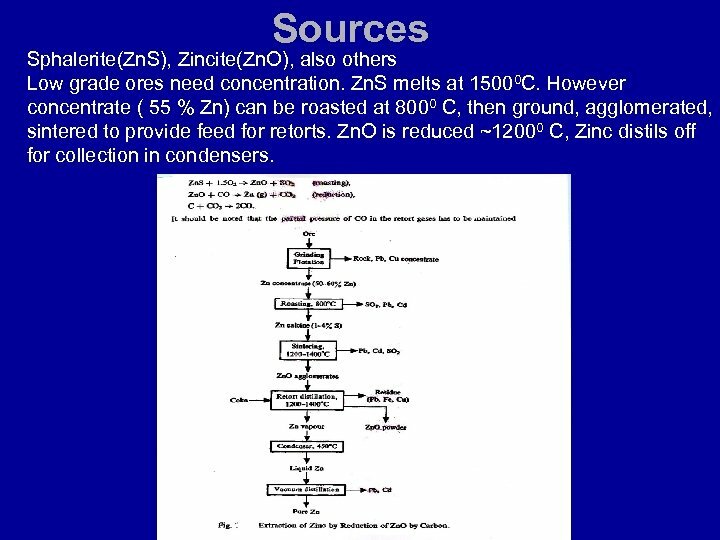 Sources Sphalerite(Zn. 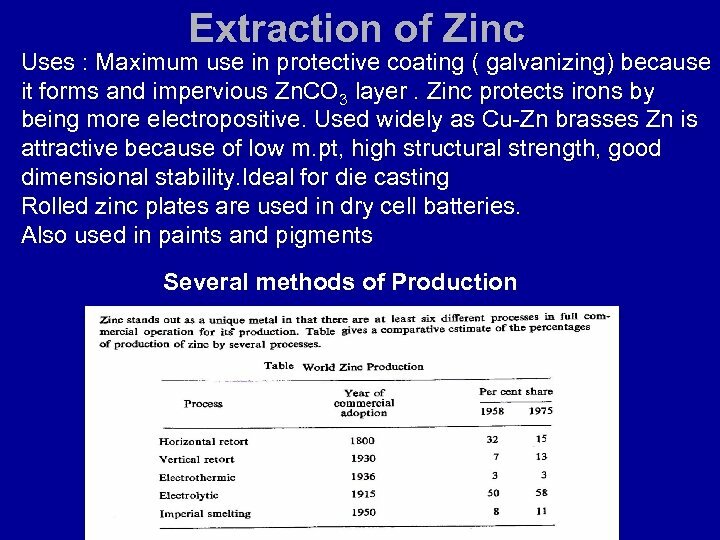 S), Zincite(Zn. O), also others Low grade ores need concentration. Zn. S melts at 15000 C. However concentrate ( 55 % Zn) can be roasted at 8000 C, then ground, agglomerated, sintered to provide feed for retorts. Zn. 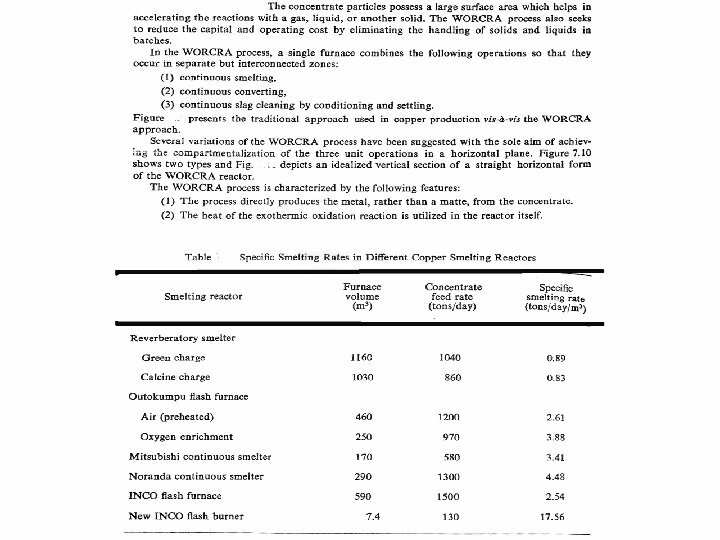 O is reduced ~12000 C, Zinc distils off for collection in condensers. 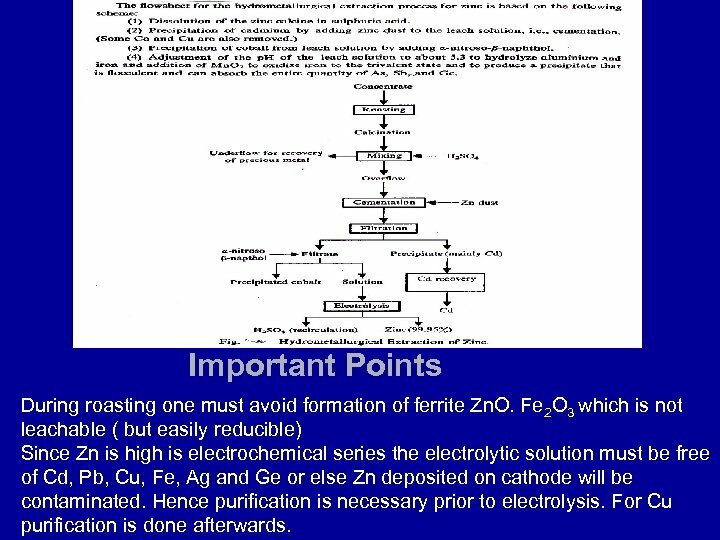 Important Points During roasting one must avoid formation of ferrite Zn. 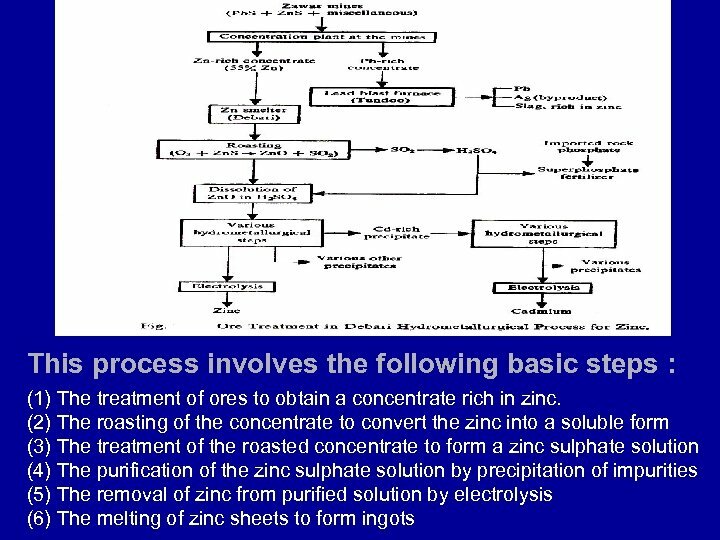 O. Fe 2 O 3 which is not leachable ( but easily reducible) Since Zn is high is electrochemical series the electrolytic solution must be free of Cd, Pb, Cu, Fe, Ag and Ge or else Zn deposited on cathode will be contaminated. Hence purification is necessary prior to electrolysis. For Cu purification is done afterwards. Extraction of Nickel Both oxidic and sulphidic ores are available. 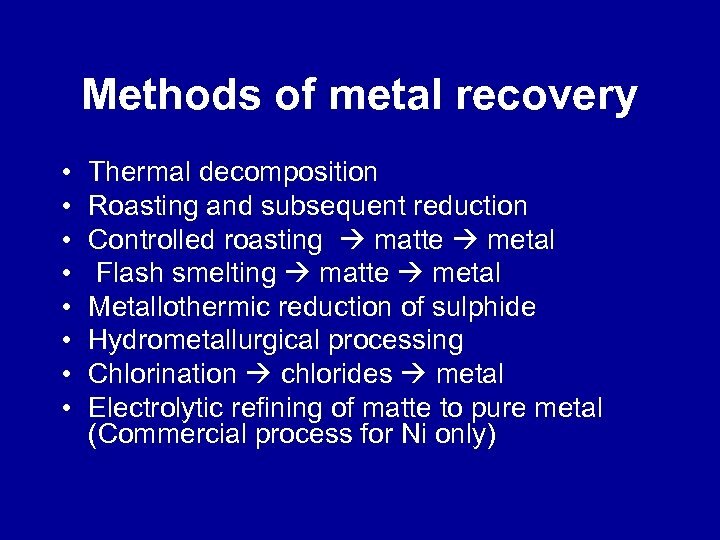 Ni is important as an alloying element – alloys in chemical processing, space research, nuclear reactor engineering. More than 3000 commercial alloys for mechanical properties and corrosion resistance. Ni-Cu alloys are known as Monel metals, Ni-Cu-Zn alloys make German silver. 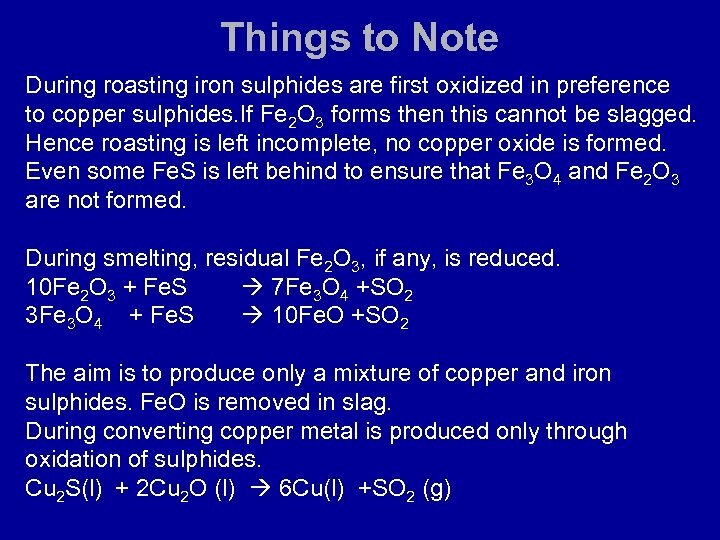 Sulphide ores – Ni 2 Fe. S 4, ( Ni. Fe)9 S 3 etc. 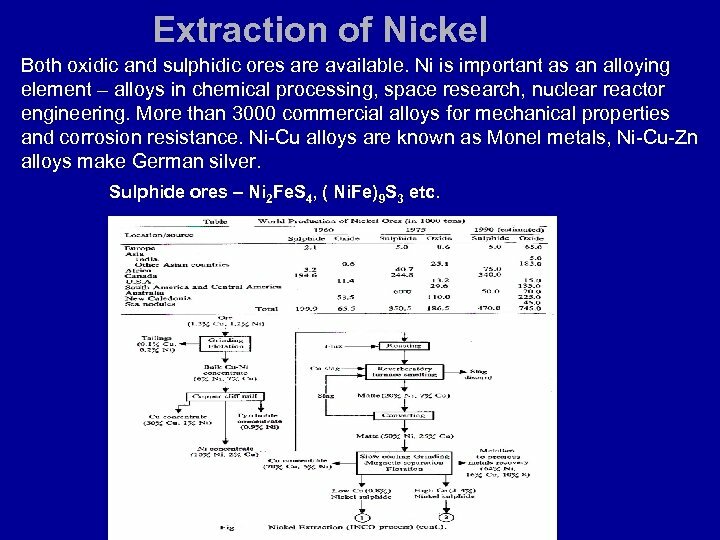 Nickel from Oxide Ores More abundant than sulphudic ores. 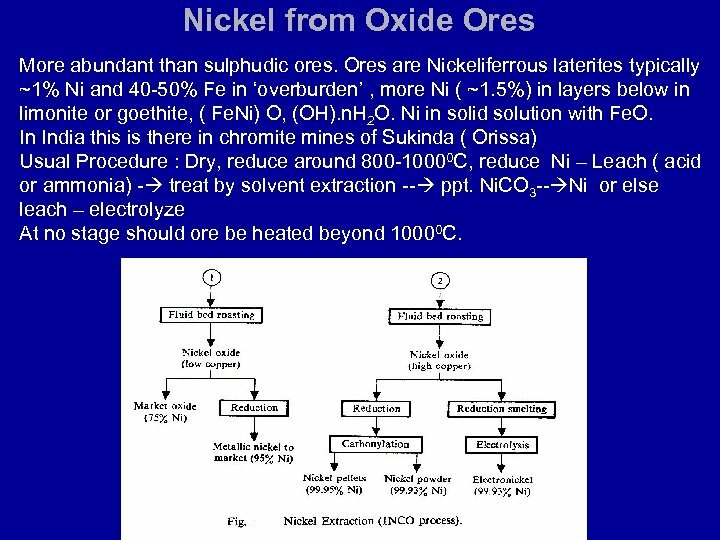 Ores are Nickeliferrous laterites typically ~1% Ni and 40 -50% Fe in ‘overburden’ , more Ni ( ~1. 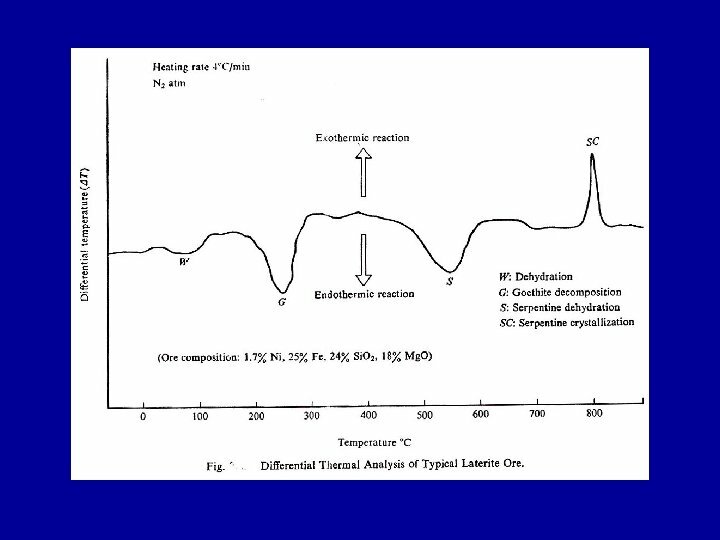 5%) in layers below in limonite or goethite, ( Fe. Ni) O, (OH). n. H 2 O. Ni in solid solution with Fe. O. 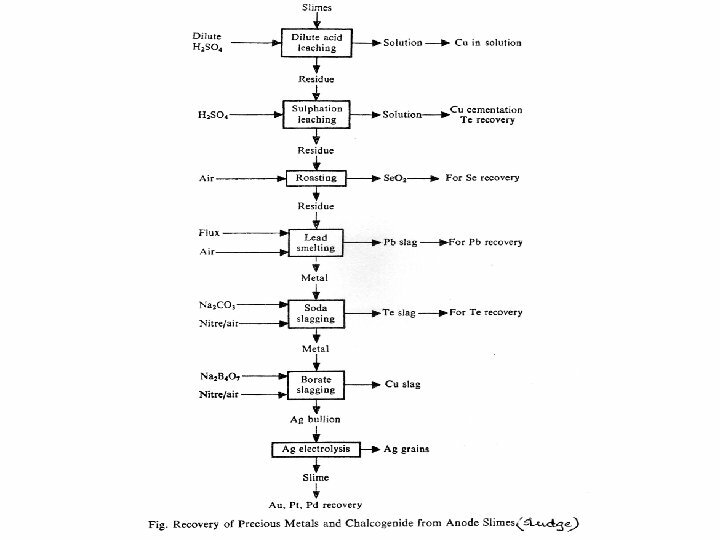 In India this is there in chromite mines of Sukinda ( Orissa) Usual Procedure : Dry, reduce around 800 -10000 C, reduce Ni – Leach ( acid or ammonia) - treat by solvent extraction -- ppt. Ni. 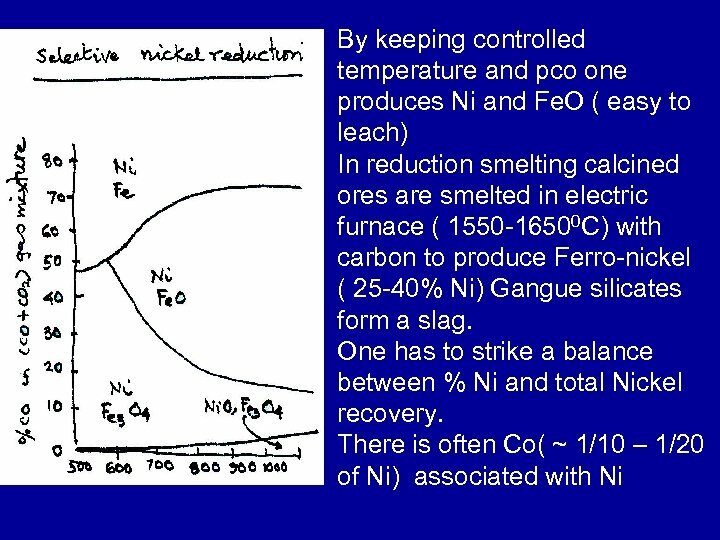 CO 3 -- Ni or else leach – electrolyze At no stage should ore be heated beyond 10000 C.